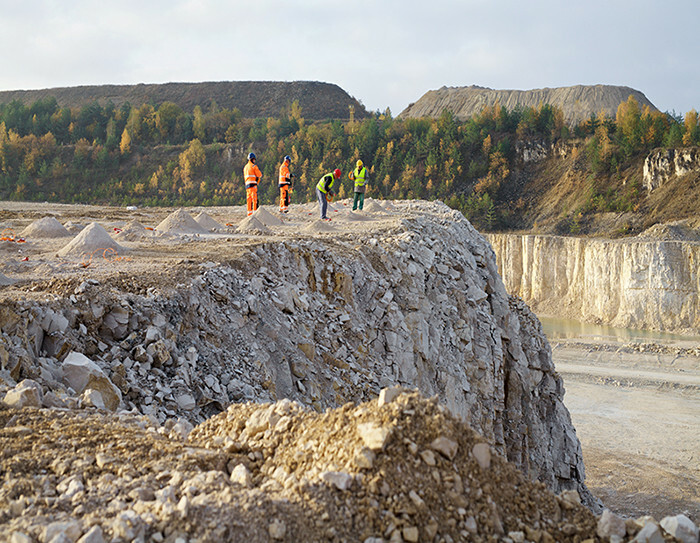 NITROERG SERWIS is a representative and distributor of NITROERG S.A. within the scope of blasting agents on the open-pit mining market and within the area of civil works carried out using of explosives. 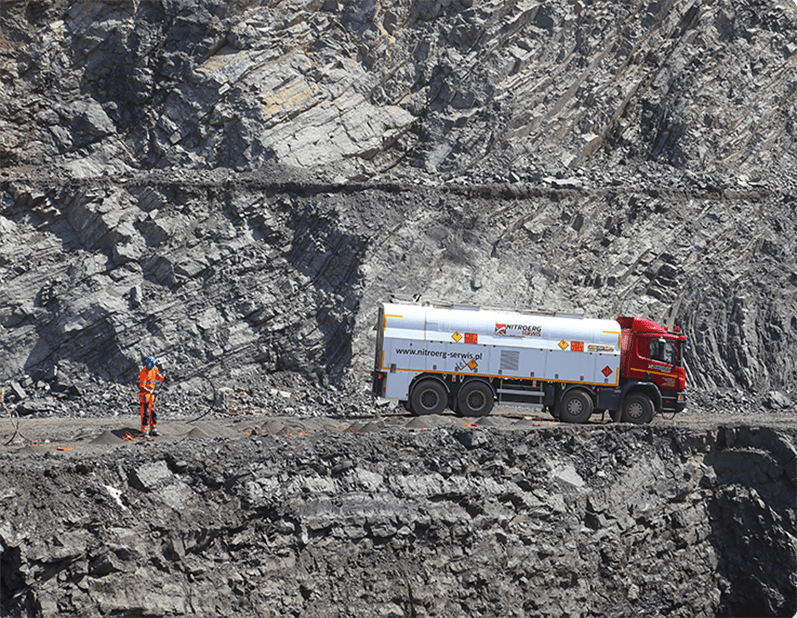 NITROERG SERWIS has a highly qualified and professionally organized team that provides a full range of drilling and blasting services of the highest quality and safety standards. 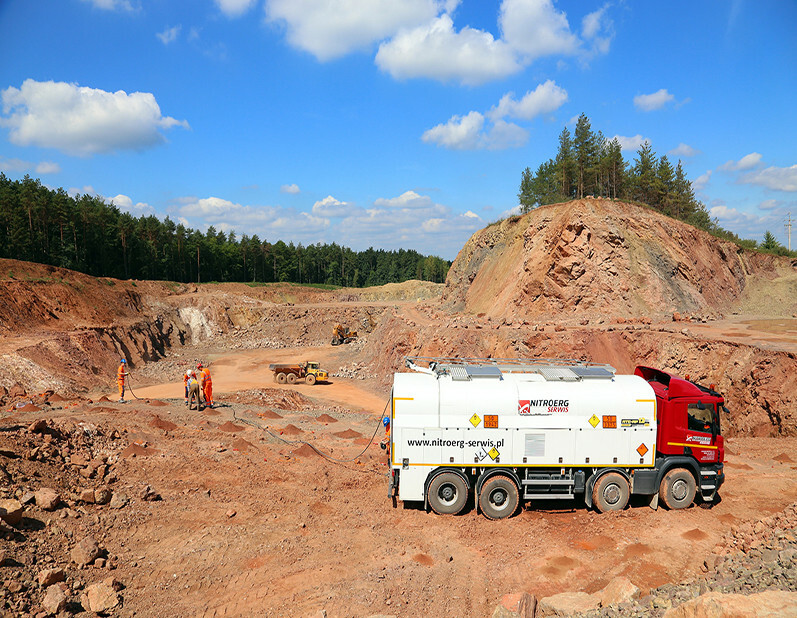 NITROERG SERWIS has a full and modern fleet of MEMU vehicles and drilling rigs that enable optimization of drilling and blasting works in open-pit mines. NITROERG SERWIS means reliability, quality and timeliness of deliveries ensured by the operational and warehouse bases located in the Świętokrzyskie and Dolnośląskie voivodeships. We can also deliver with the Śląskie, Małopolskie and Opolskie voivodeship thanks to our explosives warehouses located in Bieruń and Krupski Młyn.